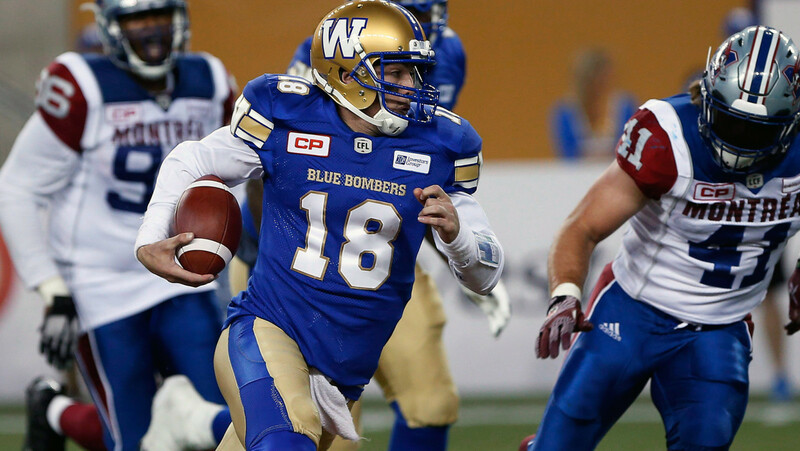 WINNIPEG — Bryan Bennett is back for a second stint with the Winnipeg Blue Bombers after signing with the team Friday. The Bombers also announced they’ve signed diminutive international receiver/returner Charles Nelson, and released international linebacker Chinedu Oparaku and International defensive lineman Larry Webster. Bennett could have a chance to join the competition for the backup quarterback job behind Matt Nichols. A 6-foot-3 quarterback out of Southeastern Louisiana, Bennett returns to the Bombers after playing for the club in the 2016 pre-season. He also spent time with the Saskatchewan Roughriders and Indianapolis Colts. Bennett split his college career with the Oregon Ducks and Southeastern Louisiana Lions, completing 403 passes for 6,102 yards and 48 touchdowns in four seasons. Nelson, a 5-foot-8, 170-pound pass-catcher, played four seasons for the Oregon Ducks, catching 124 passes for 1,555 yards and 14 touchdowns. He also had 2,424 kick return yards and two kick return touchdowns during his time at Oregon. In 2014, Nelson received the Gordon E. Wilson Award for being Oregon’s top special teams standout and was given 1st-Team Pac-12 All-Conference honours in 2015.